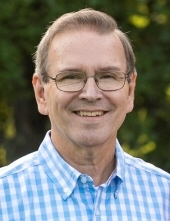 Thomas C. Brink, 68, of Franklin, was welcomed into the loving arms of our Lord and Savior on April 8, 2019, following a courageous battle with pancreatic cancer. Tom passed from this world in the same manner in which he lived; fearless and trusting in God. Born on April 9, 1950, he was the son of the late Glenn H. Brink, Jr. and Alice M. (Heffern) Brink, who survives. Tom is also survived by a brother, Darry Brink, of Franklin. Tom was a 1968 graduate of Rocky Grove High School and a 1972 graduate of Clarion University where he studied business. Upon his graduation, Tom began working at Valley Grove School District where he served as Business Manager for 42 years before retiring in 2014. During his years at the Grove, he also served as the School Board Secretary and Food Service Manager. On January 8, 1972, Tom married the love of his life, Melanie A. Heckler, and began their 47 years of love and dedication. Together they built a home and raised three children, who survive: Nicole and Andrew Clements of Crofton, MD, Carrie and Brad Beightol of Franklin, and Wade and Justine Brink of Erie. He is also survived by his beloved grandchildren, Bryce and Avery Beightol, Mackenzie and Patrick Clements, Bennett Brink and was proudly awaiting the arrival of his sixth grandchild in July. Tom was the rock of his family and a “Mr. Fix It” for all of life’s problems. Along with his mathematical gifts, God blessed him with strong, talented hands that could fix and build anything. He enjoyed woodworking and helping his children with home projects. Tom was an ice cream connoisseur and his hearty chuckle will be fondly remembered by those who had the pleasure of hearing it. He was a Civil War buff and enjoyed reading historical accounts of that era. In his leisure time, he liked to golf and fish. But the joy of his life was spending time with his family, and being “Papa” to his grandchildren. Tom’s life was a living example of God’s love. He served his church in several capacities over the years and participated in mission trips to Kentucky and Arizona. He was also involved with Youth for Christ and Life Building Ministries. Waiting for him in heaven were his dad, father-in-law, C. Derwood Heckler, brother-in-law, James Flick, and nephew, Timothy Brink. A private memorial will be held at the convenience of the family. In lieu of flowers, memorials can be made to Venango Youth for Christ, PO Box 27, Seneca PA 16346. Funeral arrangements were entrusted to Gardinier Funeral Home, Inc., 1315 Chestnut Street, Franklin, PA 16323. To send flowers or a remembrance gift to the family of Thomas C. Brink, please visit our Tribute Store. Per the family's request, services are private. "Email Address" would like to share the life celebration of Thomas C. Brink. Click on the "link" to go to share a favorite memory or leave a condolence message for the family.